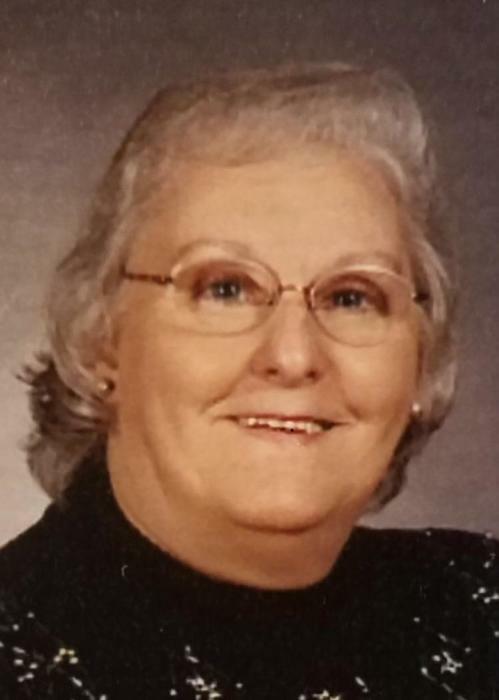 Boonsboro, MD – Kathryn Louise “Katie” Schilling, 74, of Boonsboro, MD passed away on Monday, February 11, 2019 at Johns Hopkins Hospital Baltimore, MD. She was born on March 15, 1944 in Huntington, PA to the late Leo Carl and Flora Almeda Uttley Morningstar. She was a 1962 graduate of Mt. Union High School and received her LPN at Pensacola Junior College in Pensacola, FL. Katie was employed by Potomac Family Medicine Hagerstown, MD until her retirement in 2006. She was previously employed by Reeder’s Memorial Home and also Dr. Farah, Dr. Guedenet and Dr. Sanicola. She was a member of Benevola United Methodist Church Boonsboro, MD where she was instrumental in starting Benevola Blessings Outreach and started the Saturday morning monthly breakfast. She also helped with Women’s Quilting and was on the weekly Bible Study. She is survived by her husband of 55 years Ronald Lee Schilling; daughter Tammy Poffenberger and her husband Danny of Boonsboro, MD; son Tim Schilling and his wife Lisa of Boonsboro, MD; loving grandchildren Dawn, Jason, Branden and Emily; loving great grandchildren Hailey, Tyler, Bryson, Madison and Danielle; many nieces and nephews. Katie was predeceased by a son Todd Schilling in 1985 and two grandchildren Danny Jr. and Seth. The family will receive friends at the Osborne Funeral Home 425 S. Conococheague St. Williamsport, MD on Thursday, February 14, 2019 from 6:00-8:00 pm. The funeral home will be open after 9:00 am on Thursday for the convenience of family and friends. Funeral services will be held at Osborne Funeral Home 425 S. Conococheague St. Williamsport, MD on Friday, February 15, 2019 at 11:00 am with Rev. Cindy Caldwell officiating. Interment will be in Cedar Lawn Memorial Park Hagerstown, MD.